Tara Chand is professional Carpenter. He has more than 20 years experience in carpentry works. 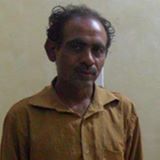 He has made the online carpentry course for learning everything about carpentry with colaboration with Vinod Kumar (Educator). For getting this course, click here.